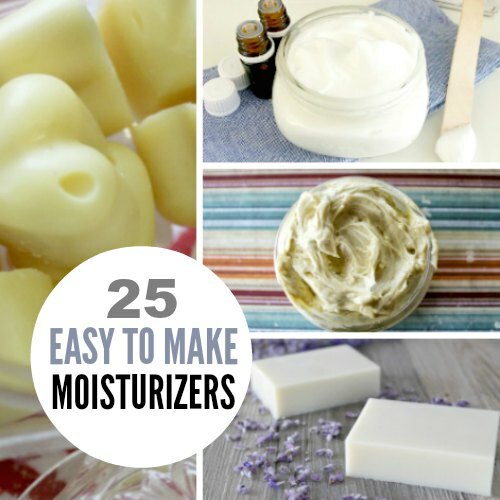 Here are 25 of the Best Natural Moisturizer ideas that you can easily make at home. 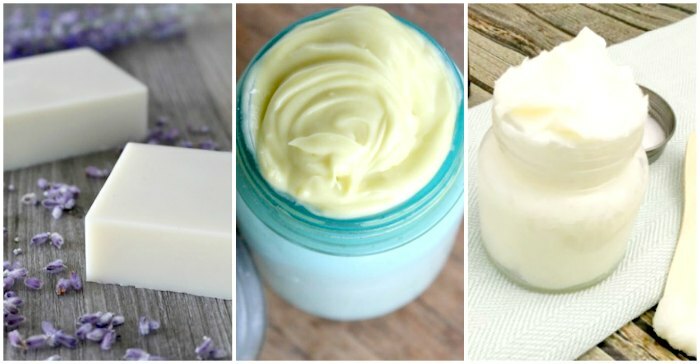 Most of these homemade moisturizer recipes can be made in just a matter of minutes. 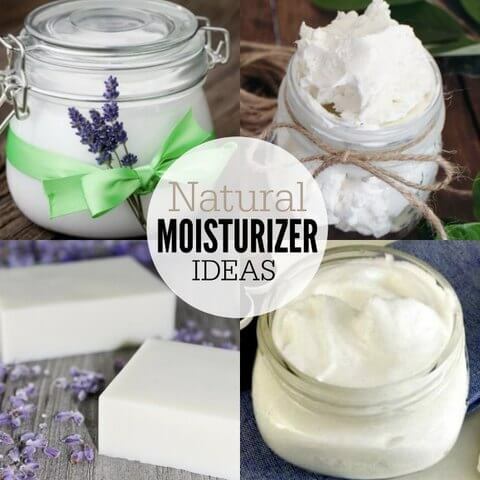 You will love these simple and easy natural moisturizer ideas. In fact, I think you will be surprised how easy they are to make. These are not complicated ideas or ones that will cost a fortune. We have simple ideas to moisturize that are full of natural ingredients that are also budget friendly! Many of these moisturizer ideas include essential oils. I buy just about all my essential oils on Amazon – they are very cost effective and they work great at making your own homemade moisturizers and homemade lotion. I prefer to use Lavender essential oils in my moisturizers because it is relaxing, but my kids love it when I use peppermint for hand lotions. Frankincense is also great to use too! 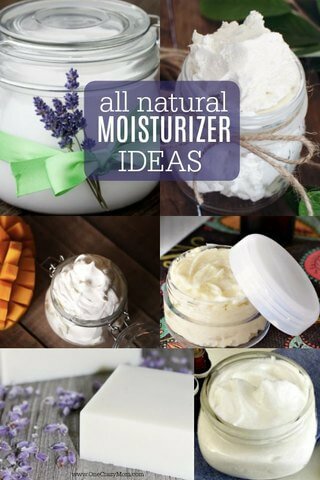 No matter how you decide to jazz up your homemade lotions I know you will find several fun recipes to try from this big list of the best natural moisturizer ideas. 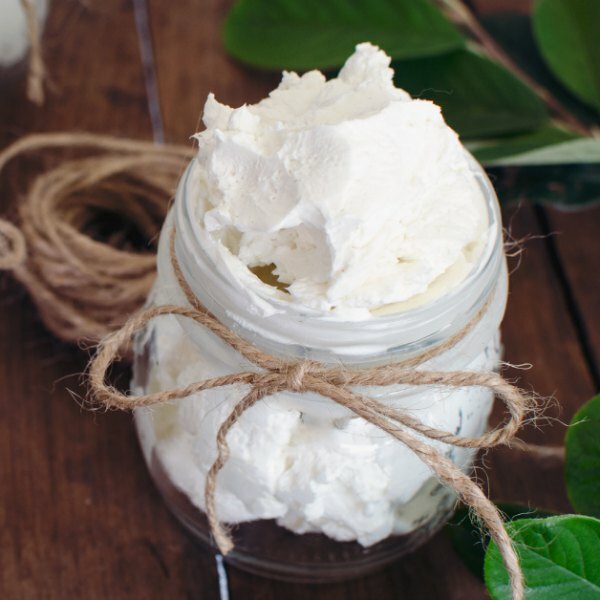 Which one of these Homemade facial moisturizer ideas will you try first? There is something for everyone and all skin types. If you are looking for a natural moisturizer for dry skin or a natural moisturizer for oily skin, there are many moisturizers to choose from. These are the best natural moisturizer for face and you will stay moisturized all day long. 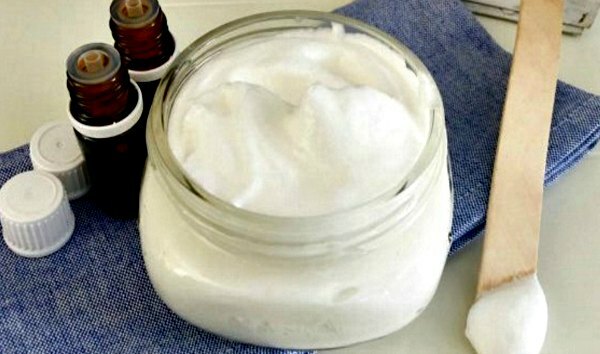 What should you put the Homemade Daily Moisturizer for Face in? 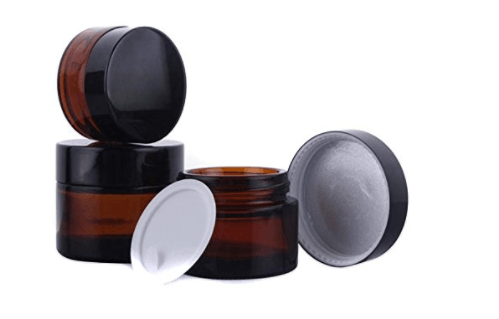 You’ll also need a small container to put your face moisturizer in. I had an old container that I cleaned out and reused. You might want to dig through your drawers to see if you have an old container you might be able to re-purpose for this reason. However, I like to make several batches because it so economical and easy to do a large batch at once. I actually ordered several small containers from Amazon to use for the face moisturizer we make. These also make great gifts (think slumber party, bridal shower, teacher gifts…), and you will need to have several containers on hand. As a crazy mom it is important to take some time to pamper yourself. We have a very crazy life and that is ok. However, we need to embrace the crazy and have some fun and take care of ourselves. 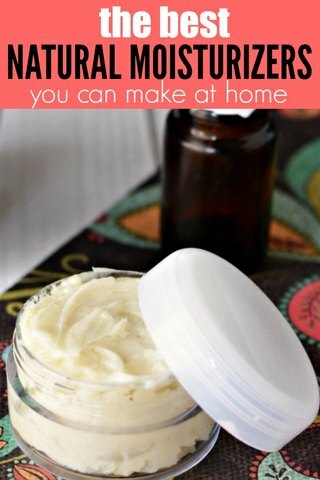 So today take some time to make some homemade moisturizers and pamper yourself at home. I have dry skin and I am going to make one of the best natural face moisturizer for dry skin ideas. I can’t wait to try these awesome ideas. These are the best chemical free face moisturizer ideas. Don’t forget to also choose a natural moisturizer for face at night. It is just as important to moisturize before bedtime as it is in the morning! We are always trying new all natural DIY recipes around here! One of my favorites is this Brown Sugar DIY Body Scrub to help exfoliate dry skin. Your entire body will feel so smooth and silky. Start with one product a week like one of these Best Natural moisturizer ideas. If that is too much try a new product every other week. Or if you feel that you have more time, maybe try 2 in one week. Basically, everyone is different and just do what works for you and your family. We are all different and can only do what our schedules allow. You are going to love using natural products. With easy moisturizer recipes like this, it’s a great place to start. Let’s face it, Mom’s do not always take care of themselves well. We are so busy taking care of the kids and the husband and everyone else. It’s easy to push ourselves to the back burner. Well, if we aren’t taken care of eventually it will be hard to take care of others. I have learned the hard way that it’s so important to take a few minutes for ourselves. Sometimes I feel guilty thinking I should be doing something for the kids but truly investing in myself makes me a better Mom. Don’t you agree? So, take a few minutes today and pamper yourself with some of these amazing DIY products. You will save money and your skin will feel amazing.